On February the 23rd, a document has been released by China’s State Intellectual Property Office, known as SIPO. The document explained that the application submitted by the bank was presented on September the 28th, 2017, and invented by Zhao Shuxiang. If the system receives a request to compress transactions from different locks (1 to 1,000), it creates a new data block that is temporarily hosted on a different storage system. Once it will be needed, the system will run the packed data using a hash function with a hash value. In this way, and according to the registered patent, the amount of data stored in new blocks will be reduced as transactions mount in a blockchain. At the same time, it ensures that data from previous transactions is still tamper-proof and traceable. At the moment, different financial institutions and governments are using blockchain technology in order to improve their products and services. At UseTheBitcoin we have written several times how governments and enterprises are using distributed ledger technology on a daily basis. Blockchain is able to reduce costs, increase efficiency, reduce bureaucracy, register information and track records very efficiently. The patent is being reviewed and is yet to be granted. The state-owned bank is working hardly in order to increase its business by using distributed ledger technology. 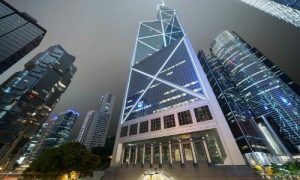 Bank of China, has already been working with China’s internet giant Tencent test blockchain technology in various financial applications.